Set out the ice cream to soften slightly, and clear a flat surface in the freezer. 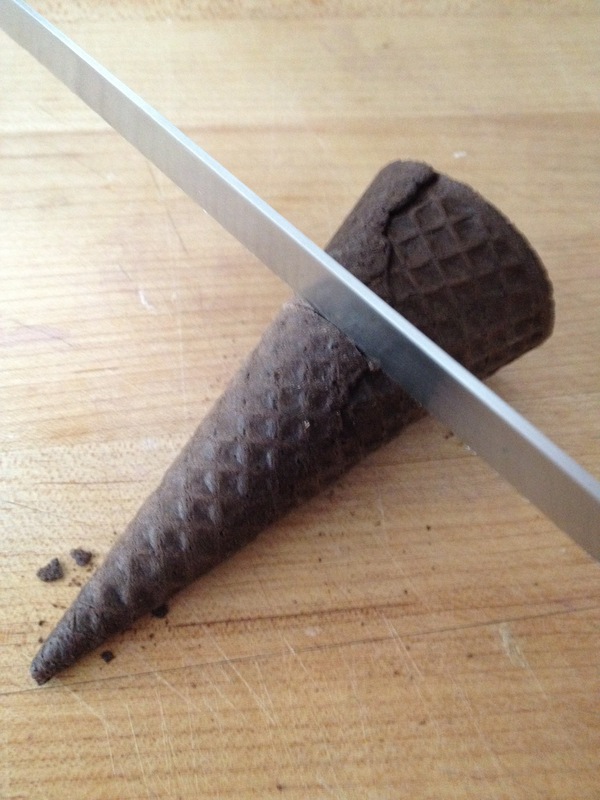 Using a serrated knife, saw 1” off the wide end of the cones. 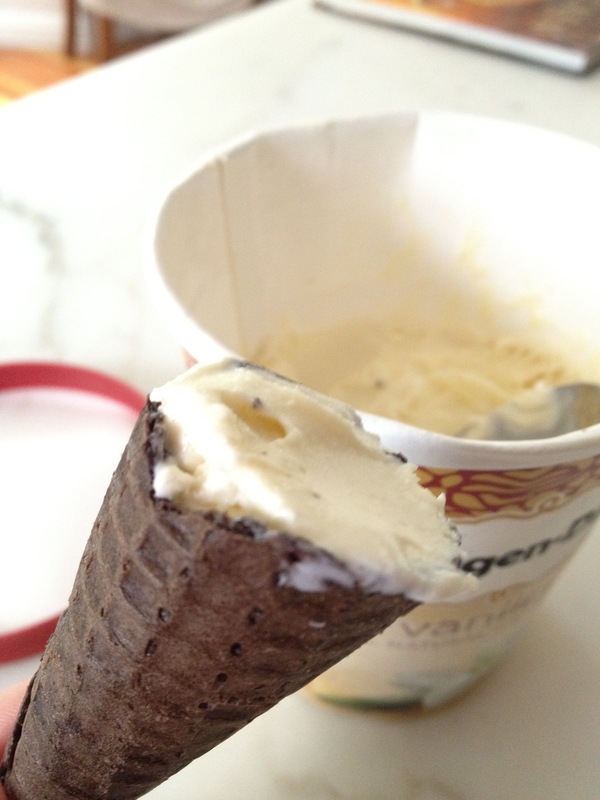 Using a teaspoon, fill the mini cones with ice cream. 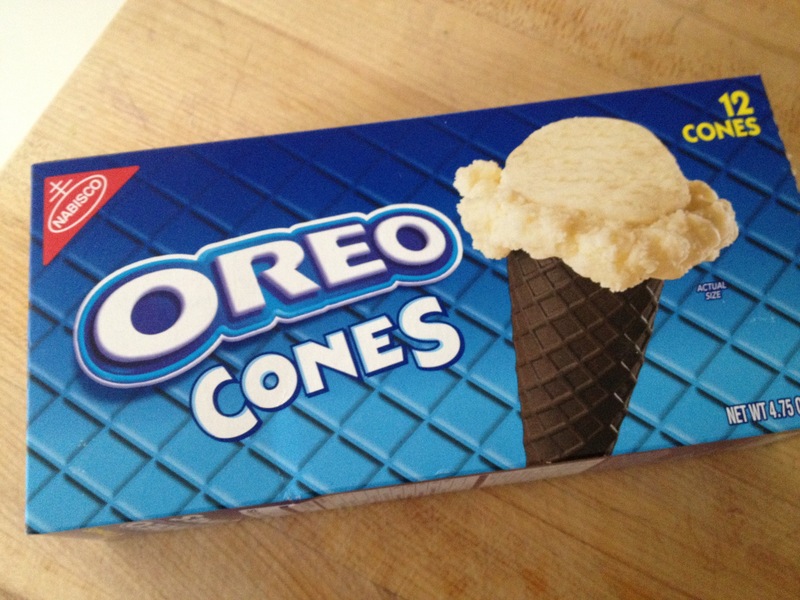 You want just enough to fill the cone; too much extra and the ice cream will ooze out. 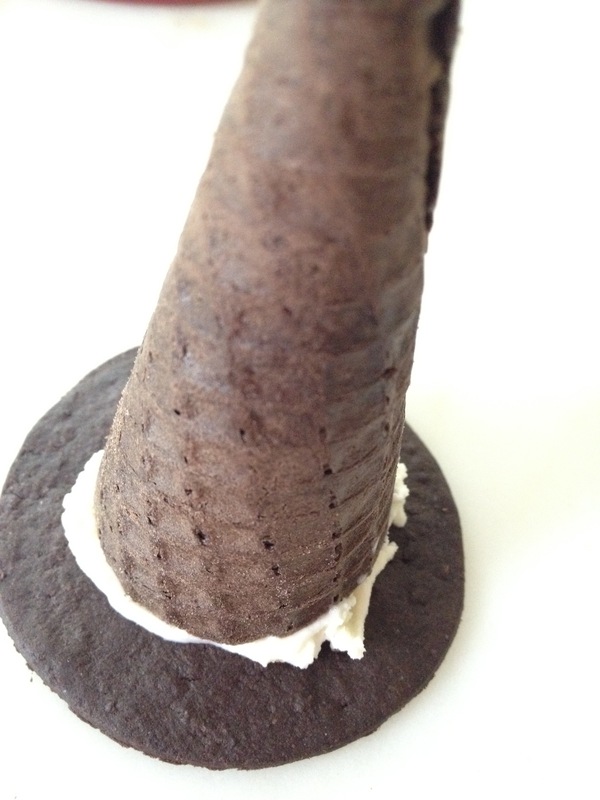 Place atop a chocolate wafer and place in the freezer; repeat with remaining cones. 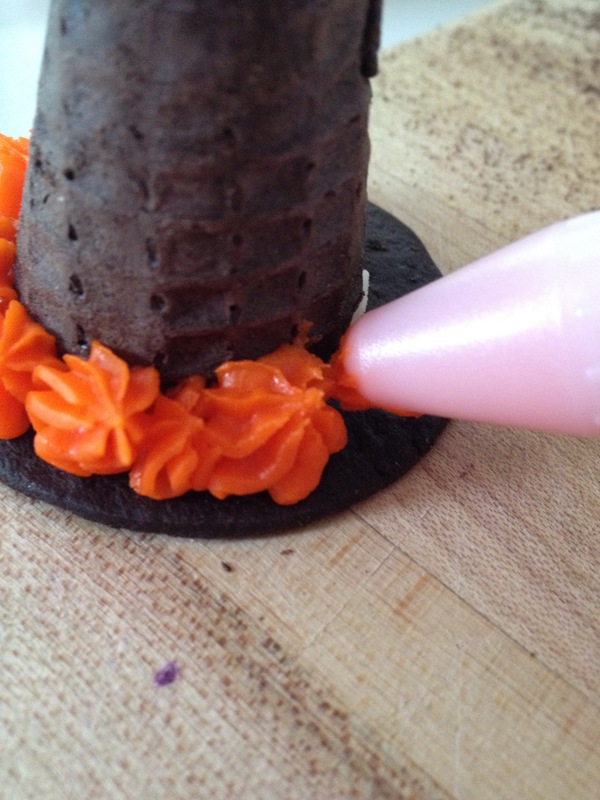 Attach a star-shaped tip to the tube of icing and squeeze little stars around the cone/wafer seam. Return to freezer. Once ice cream and icing has hardened, carefully place hats in a large freezer bag until ready to serve. 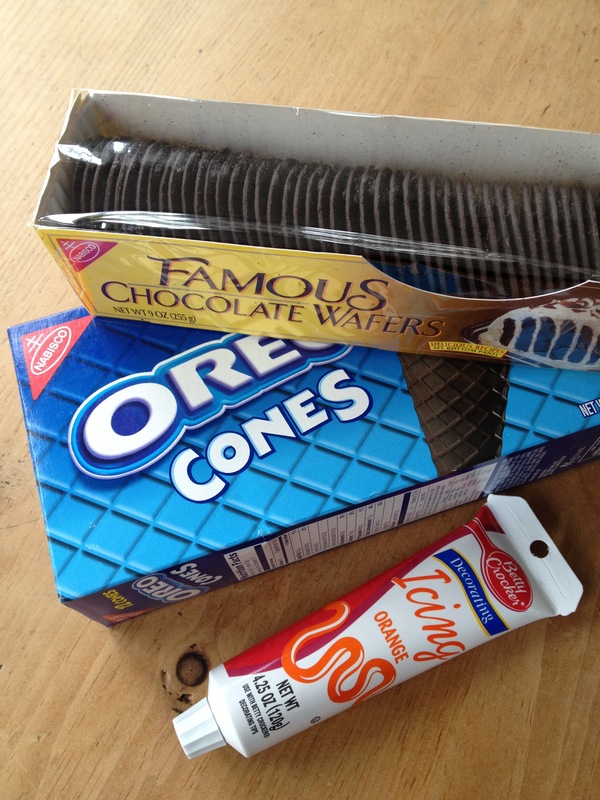 Place small scoops of ice cream onto chocolate wafers. Top with another wafer and freeze until firm. 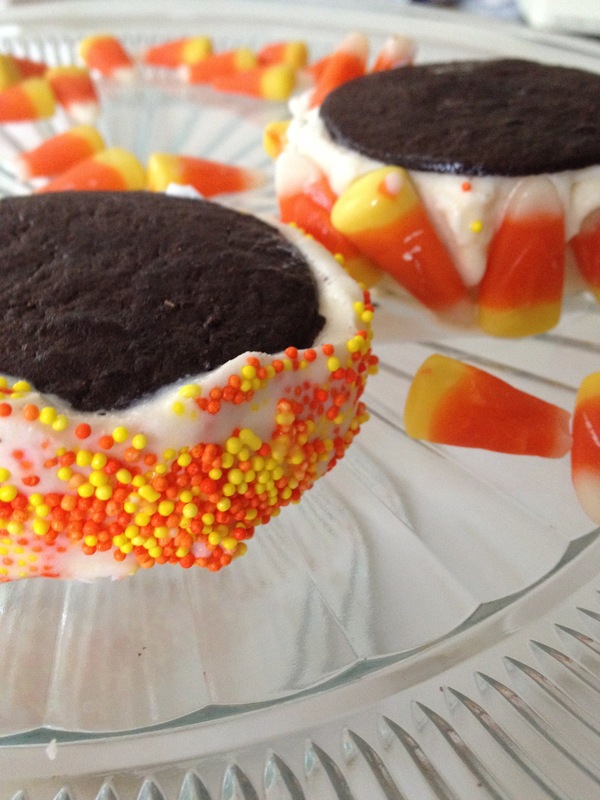 Roll exposed edges of ice cream in mini chocolate chips, sprinkles or candy corns. Wrap individually in wax paper and freeze until ready to serve. 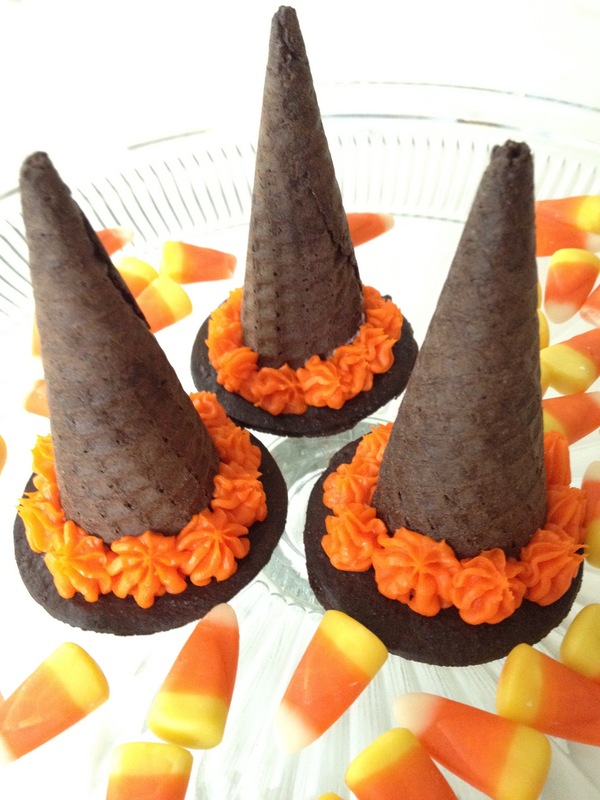 This entry was posted in Desserts, Holidays, Kids & Family and tagged easy desserts, Halloween treats, ice cream by subeeskitchen. Bookmark the permalink. Those are so darn cute!! !